Kidnapped Exmo Bitcoin exchange manager Pavel Lerner was freed by his abductors in Ukraine on Friday. Exmo confirmed that their employee is safe and "there was no physical harm inflicted on him". 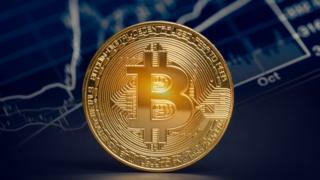 Mr Lerner, 40, a leading analyst at the cryptocurrency company, was kidnapped on 26 December while leaving his office in Kiev's Obolon district. According to Ukrainian media reports, Mr Lerner was "thrown out on a motorway" by his abductors. Exmo said: "Pavel is currently in a state of major stress, therefore, he will not provide any official comments in the coming days. "The case is currently under investigation of the state security authorities." The company emphasised it was back to business as usual, and that Mr Lerner did not have access to any financial assets on the platform. Mr Lerner is a prominent Russian blockchain expert and the news of his kidnapping has stunned many in the international cryptocurrency community. Blockchain is the technology that underpins the digital currency Bitcoin. Exmo confirmed that Mr Lerner was kidnapped by "a group of unknown masked people". Russian and Ukrainian media reports said he was dragged into a black Mercedes-Benz by men wearing balaclavas. Police in Kiev confirmed to the BBC that a man had been kidnapped on the day and location in question, but would not confirm his identity. A spokeswoman said that the matter was currently under investigation, and that more information would be made public later on. Exmo Finance is registered with Companies House in the UK, but has its main operations in Ukraine. According to its website, it has 94,955 active users trading cryptocurrencies. Separately, Exmo said in a tweet that it been the target of a cyber attack on Thursday.